The Chancellor of our Douglas Circuit is, as his name betokens, thorough Manx. He is a man of the noonday, being still eastward of fifty; he has been for thirty-three years a member of our Church. Having held for thirteen or fourteen years the Superintendency of our Bucks Road (formerly Wellington Street) School; it is this position he prizes more than his other honours or offices. His genial temperament, love of order, and patient perseverance splendidly fit him for work among the young. He is counted among the most successful business men in the town, and the respect he has earned is equally great. He has been for five years, and still is, a member of the Town School Board. In Circuit and Church work he is keenly interested, and with his fellow-workers is pardonably proud of the position we hold in the town and of Primitive Methodism in Mona’s Isle. 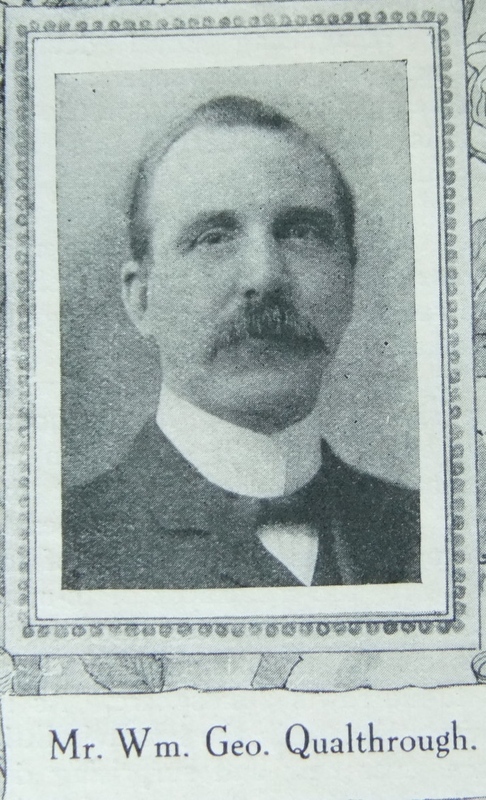 William was born in 1862 at Arbory, Isle of Man, to parents Richard Qualtrough and Catherine Cubbon. Richard was a joiner. William was baptised on 12 October 1862 at Arbory. William was a general draper. 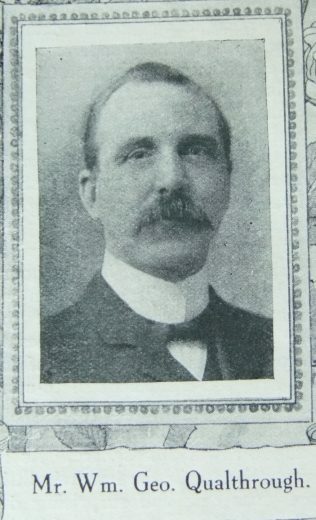 William married Alicia Ann Cooper (1862-1942) on 4 June 1889 at Douglas, Isle of Man. William died on 6 February 1942. He was buried on 10 February 1942 at Onchan, Isle of Man.